Call-center worker Estela (singer Yeng Constantino) is as disinterested in the world as gay guys are in her. At her side at the moment is Trevor (Felix Roco), who Estela inevitably falls in love with despite the fact that he has a boyfriend. Over SMS and IMs, lunch and drinks, Estela cozies up to him nevertheless, putting out her most vulnerable self. 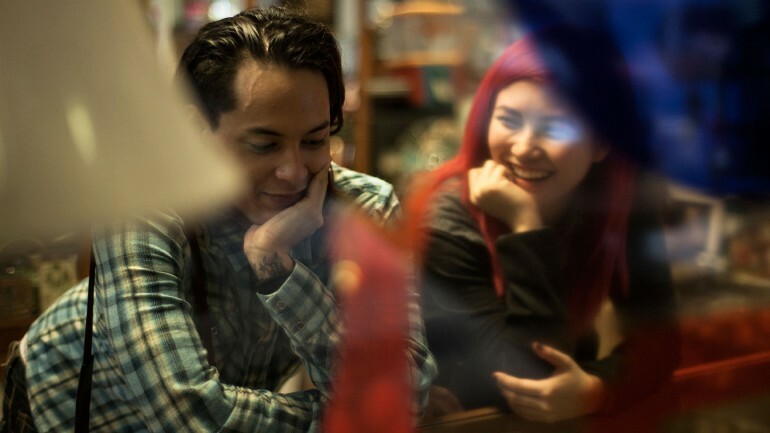 SHIFT belongs squarely to Yeng Constantino in her big-screen debut, her natural, un-actorly instincts keeping the film from obvious grungy angst and making it more a progression of life questions answered with a quiet resignation. While she wins us over in the climactic musical number, Constantino is especially good in silence: betraying boredom at work, typing at a computer screen, peeping Trevor in a museum – a moment of alternating hopelessness and romantic bliss.